Always Clean Australia is one of the leading office cleaning companies in Brisbane, offering comprehensive services to all of their commercial clients. Our trained staff ensure that nothing is missed for every clean conducted. Our cleaners are honest and reliable and have been security checked for your peace of mind as we state our reputation on their performance. With years of experience providing commercial office cleaning services, our company is well placed to provide a reliable service within your budget. We clean a large variety of prestigious offices, shopping complexes, leisure facilities and private estates throughout Brisbane. Always Clean Australia cleans to a high standard maintaining a hygienic environment for your office staff. We manage and supervise each individual cleaning contractor. Need your office cleaned today? 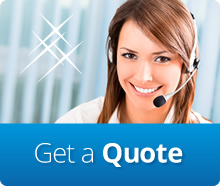 Always Clean Australia provide reliable and affordable office cleaning services.